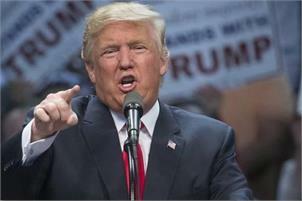 Washington, Nov 1 (PTI) President Donald Trump said today he had ordered more robust "extreme vetting" of travellers coming into the US in the aftermath of the first deadly terror attack in New York since the September 11, 2001 carnage in the city. At least eight people were killed and 11 others injured in Lower Manhattan today after a gunman in a truck ploughed through a busy bike path, an incident the US termed as an "act of terrorism". "Our thoughts and prayers are with the victims of today's terrorist attack in New York City and their families," Trump had said in a statement after the attack. "In NYC, looks like another attack by a very sick and deranged person. Law enforcement is following this closely. NOT IN THE U.S.A.!" Trump tweeted. "We must not allow ISIS to return, or enter, our country after defeating them in the Middle East and elsewhere. Enough!" he said in another tweet.